Borussia Dortmund's Jadon Sancho has "a lot to learn" according to head coach Lucien Favre, who called for the 18-year-old to focus on his work rate to fulfil his potential. 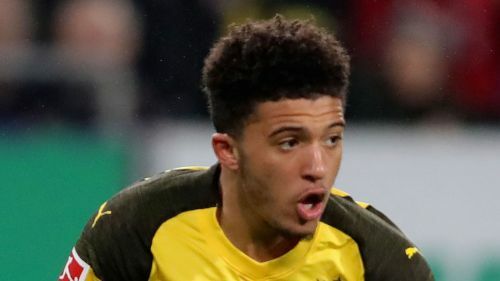 Former defender Matthias Sammer described BVB as "immature" following the result, and Favre admitted that Sancho's outstanding performances this season have not come with consistency. "He's a very good player, a very talented player," Favre told reporters ahead of Dortmund's Champions League last-1616 second-leg clash with Tottenham. "Hard work is 90 per cent. Talent is 10 per cent." Dortmund go into their clash with Tottenham trailing 3-0 after a first-leg defeat at Wembley, and no side has ever won a Champions League knockout tie after losing the first leg away from home by that scoreline.